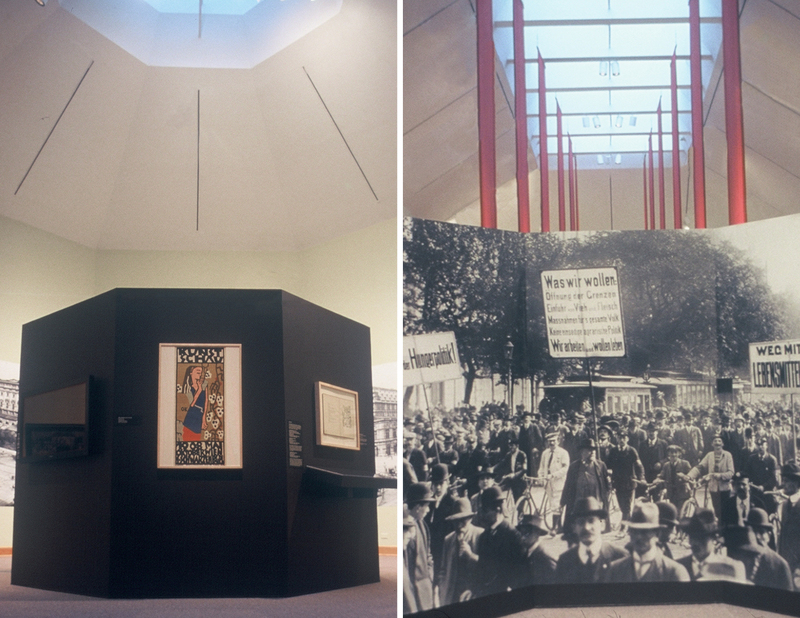 This exhibition investigated the cultural conditions in Vienna during the time of the rise of the Third Reich. 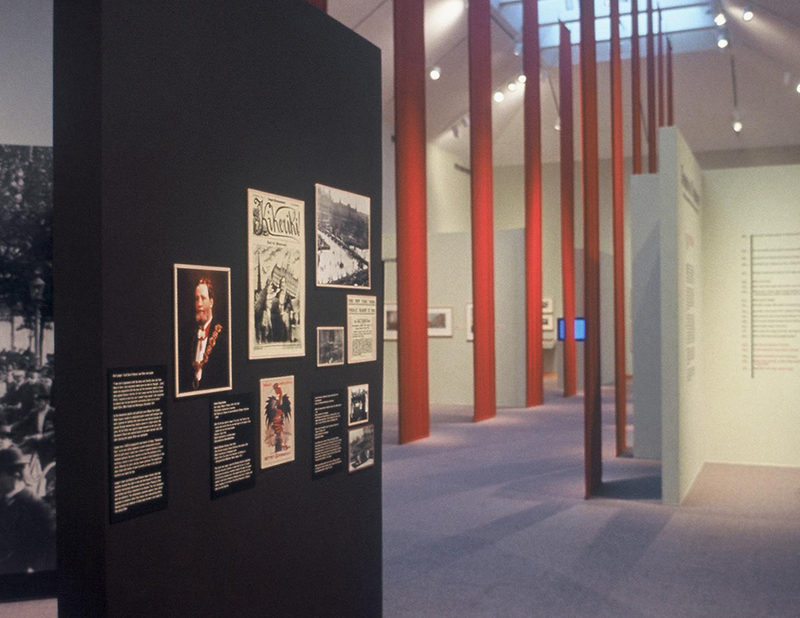 A major theme of the exhibit explored how great evil can arise within a seemingly civilized society. 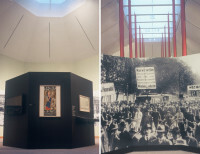 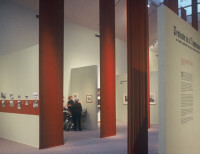 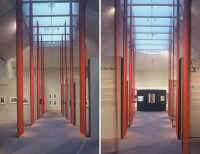 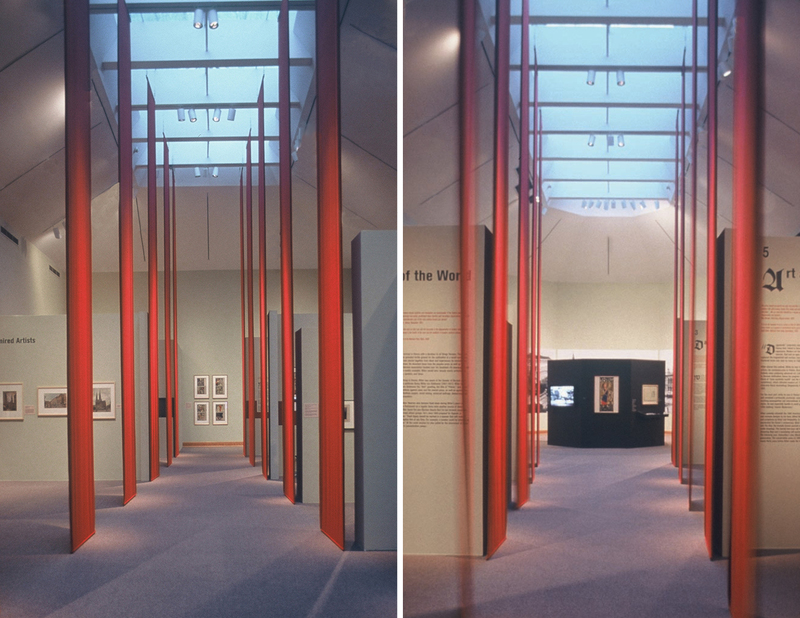 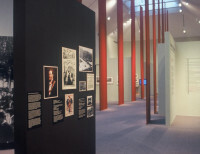 Over-scaled crimson velvet banners dwarfed the visitor along the exhibit’s main axis, evoking simultaneouly the theatricality and dehumanizing qualities of Hitler’s cultural landscape.